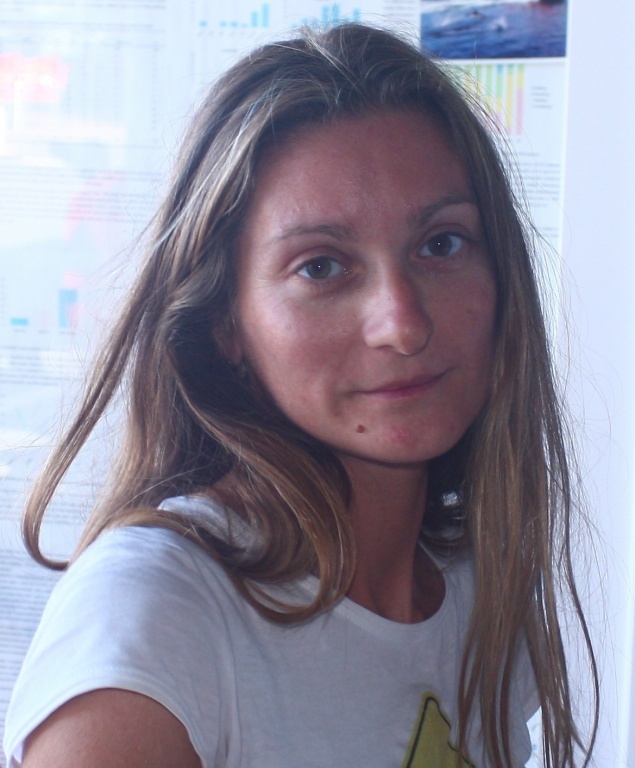 Arianna Cecchetti is currently a PhD student at the University of Azores, since 2013, conducting a PhD in Cetacean Ecology and Conservation under the 3CBio programme, entitled “Multi-aspect approach for managing whale watching activities and swimming with dolphins programs in an area of high cetaceans diversity: implications for wildlife conservation”. The PhD project is being developed within the Azorean Biodiversity Group of cE3c under the supervision of José MN Azevedo (Azorean Biodiversity Group, University of the Azores), Jonathan Gordon (Sea Mammal Research Unit, University of St. Andrews, UK) and Karen Stockin (Coastal-Marine Research Group, Massey University, New Zealand). Arianna Cecchetti’s PhD project aims are: 1) understanding the baseline behavioural patterns of common dolphins (Delphinus delphis) in the Azores 2) assessing the short-term effects of the tourism industry on their behaviour 3) understanding the potential biological long-term impact of tourism industry on local cetaceans populations as well as providing scientific support to ensure a local sustainable use of natural resources. Cecchetti, A., Stockin, K., Gordon, J., & Azevedo, J.M.N. (2018) Short-term effects of tourism on the behaviour of common dolphins (Delphinus delphis) in the Azores. Cecchetti, A. & Azevedo J.M.N. (2016) A importáncia dos estudos de impacto das atividades turísticas sobre os padrões comportamentais dos cetáceos. Uaciência, Açores Magazine, 26-27. Fevereiro.